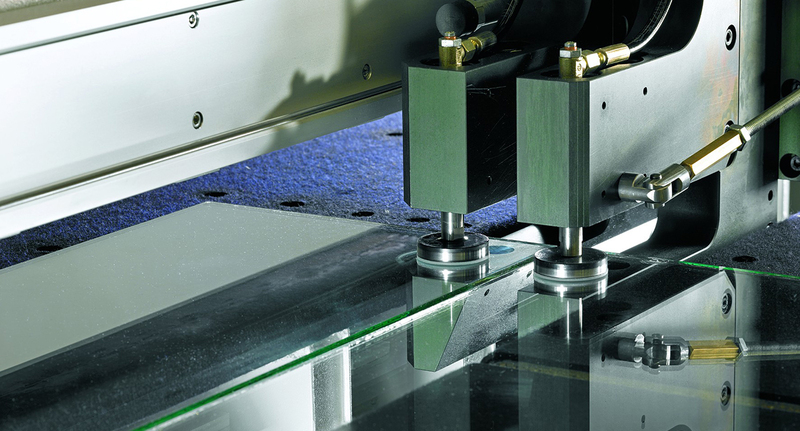 The Bavelloni Lamy 370 S is a cutting table for breaking and detaching laminated glass. It is also suitable for low-e glass: thanks to the patented special separation pliers, the coating does not get damaged during the detachment operation. The single bridge structure leaves the working area completely free from any obstructions meaning glass handling, roller change and machine cleaning are easily achieved. The Lamy 370 S can easily cut trims of 60mm even on very thick glass 8+8+6mm. Breaking is by a system of upper and lower wheels that never lift the glass and always keep it steady: in this way the lower edges never touch each other. Further information can be found in the brochure below if you would like to arrange for a demonstration or quoation please contact our sales team.